The Election Commission has confirmed that there will be a 24 hour alcohol ban in the weekend BEFORE the upcoming general election. Sunday 17th March will feature a day of pre-voting. Alcohol sales and distribution is forbidden from 6pm on Saturday 16th until 6pm on Sunday 17th. Thaivisa notes that with another ban expected on the weekend of 23rd and 24th March this will mean two weekends in a row will be affected by the election. The election proper takes place on Sunday 24th March. 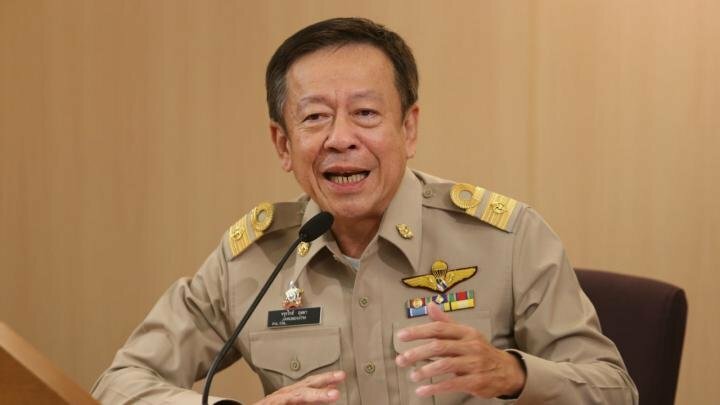 Pol Col Jarungwit Phumma, secretary of the EC confirmed the ban on 16th and 17th. He said that weddings and parties could still be organised at this time but there must be no alcohol. Prospective candidates are forbidden from going onstage, too, he said. No election related polls are permitted in the seven day run-up to the election. He said that the EC had received 43 complaints via their 1444 hotline and "Pineapple Eye" app with 11 of these related to alleged corruption and the rest being other irregularities. All these are currently being processed and investigated. "He said that weddings and parties could still be organised at this time but there must be no alcohol." Killjoys with a capital "K." A party with no bevy . . . . ???? Great advertisement to vote for them.... Not. If I was voting, I wouldn't be overly happy with the killjoy party, that stops the party. Additionally, I would have thought there was a better chance of the election being rigged, without people noticing, if they had had a few drinks. The amount of alchohol free days in a year here is already pretty crazy. Cambodia has a booze ban for elections too. Apparently the reason for the ban is so that 'you can vote with a clear head.' I think the real reason is more likely to be to prevent voters forgetting which party paid them for their vote. There will be a surge in the sale of coffee mugs to bar owners. There is nothing new here! Has been policy for most all the major elections I can remember. How many tourists have arrived here looking to relax and have a cold beer only to be told it's banned for a day or two. You can buy some heroin or yaba ...thats ok........no pombem! The sooner all these monkeys in army and police uniforms are fired the better. All those alcoholics getting withdrawal hallucinations, hard to predict how they will vote. Is there any pink elephant party?